Safe365 USB Flash Drive Data Recovery Wizard is the leading data recovery software for USB Flash Drive. 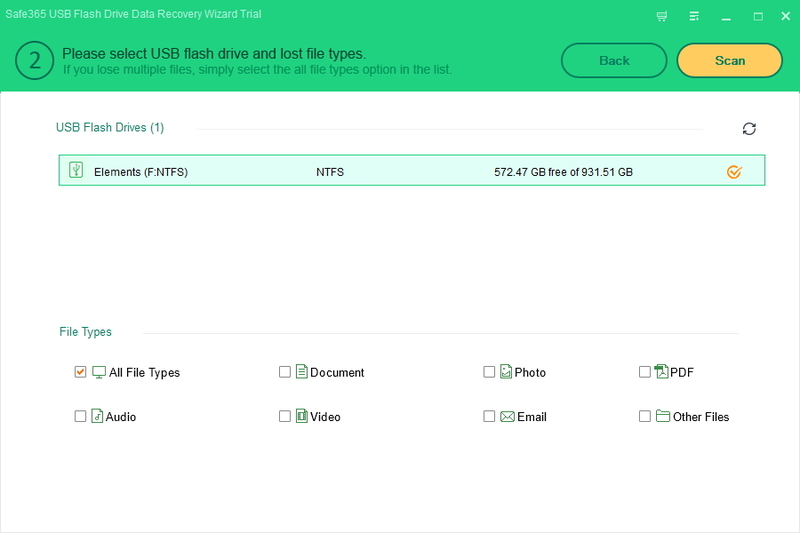 It can recover data and files from flash drives including USB flash drive, USB memory, JumpDrive, Pen Drive, Pocket Drive, Thumb Drive and many more USB flash drives. Step 1. 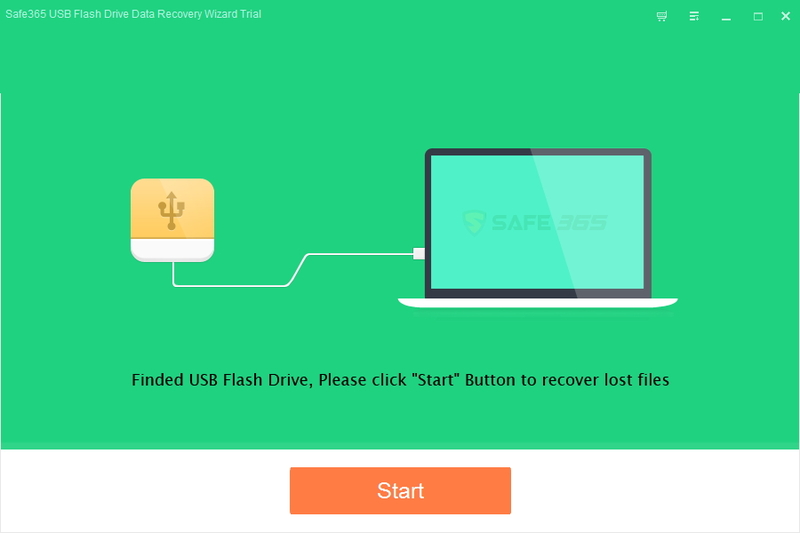 Install and launch Safe365 USB Flash Drive Data Recovery Wizard. Click "Start" button to move on. Step 2. Select flash drive and lost file types. Step 3. 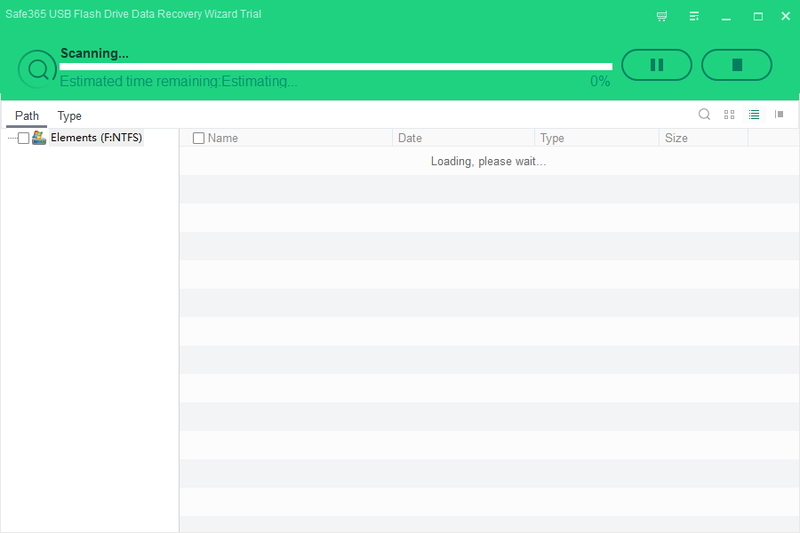 After scan, you can preview all the listed recoverable files one by one and select out those you want to recover. Then, click "Recover" button to get lost data back. Recover your accidentally deleted data from all USB flash drive brands fast, easy and reliable. Leading SD Memory Card Data Recovery Software recovers your lost/deleted files from sd card easily. 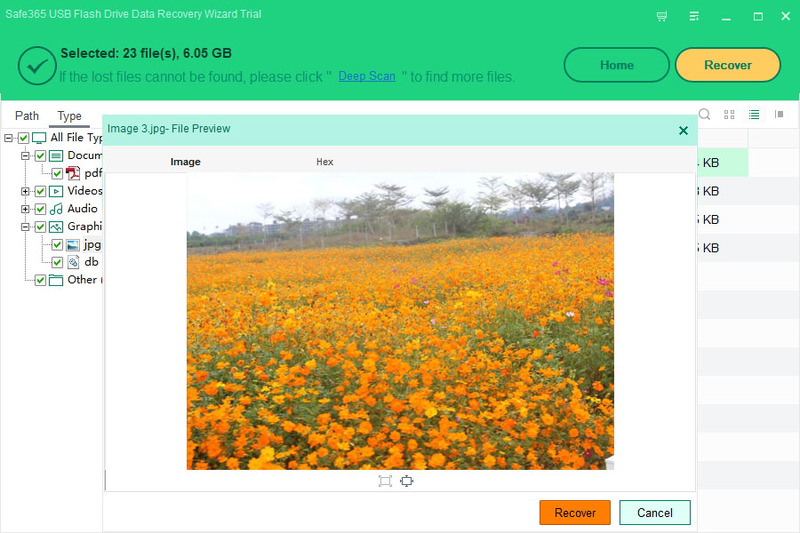 Recover deleted, formatted or lost photos, videos & audios from hard drive, portable storage devices. Copyright © 2015-2019 Safe365. ALL RIGHTS RESERVED.